In the NFL lots of players sign big contracts. But unlike other sports, those players rarely see the end of those deals or all of the money. Thanks to contracts that are not guaranteed, sometimes players are cut or deals are restructured when their production declines or their salary cap number gets too big. But a select few have gone on to make big money in their careers with 16 players making at least $US100 million. Not surprisingly, many of those players are quarterbacks as 14 of the 19 highest-paid of all-time throw the ball for a living. 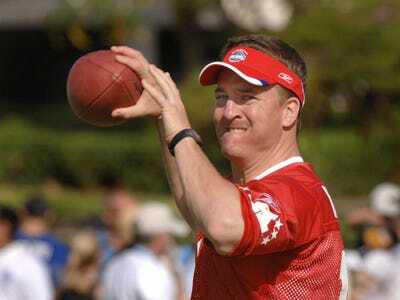 Peyton Manning is the Benjamin Button of sports. 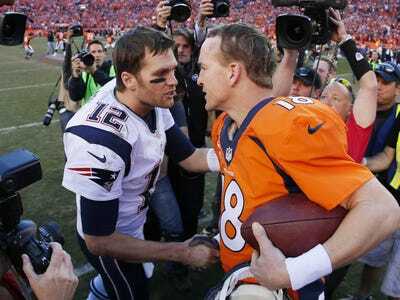 One thing to know: Peyton Manning is 38 and still has two years and $US38 million remaining on his contract with the Broncos. One thing to know: Brady still has three years and $US24 million left on his contract but will only make $US5.6 million this season. 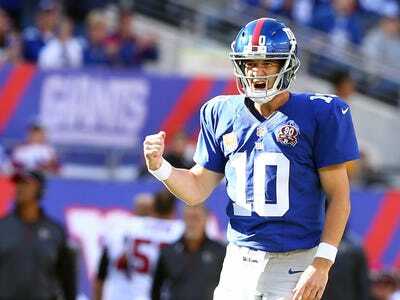 One thing to know: Eli Manning is just 33 years old and will become eligible for free agency after the 2015 season. He will make $US17.5 million next year. 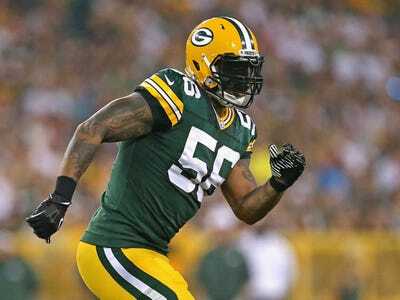 One thing to know: Peppers still has two years and $US17.5 million left on his contract with the Packers. However, none of that is guaranteed. 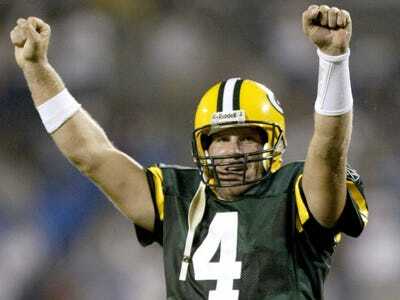 One thing to know: Favre only made more than $US12 million once while with the Packers, but made more than that in each of his three seasons with other teams. 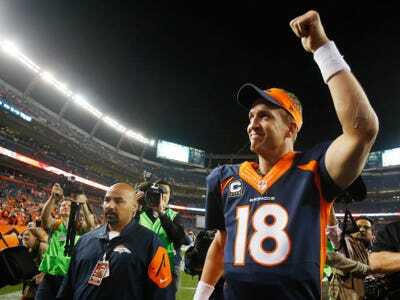 One thing to know: Brees made $US13.2 million in five seasons with the Chargers. 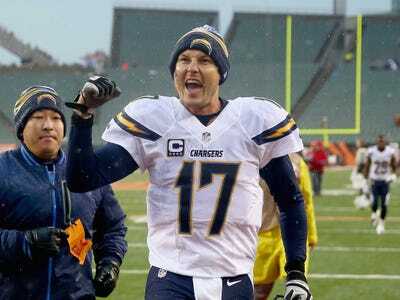 One thing to know: Rivers can become a free agent after the 2015 season. He will make $US15.8 next season. 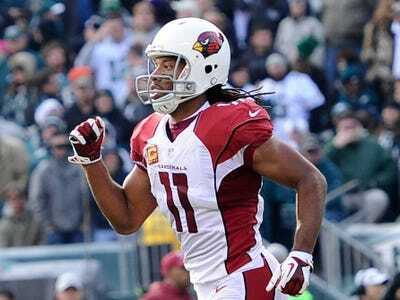 One thing to know: Fitzgerald still has four years remaining on his 7-year, $US113 million contract. However, he will count $US23.6 million against the cap next season so there is a good chance he will be cut after this season. 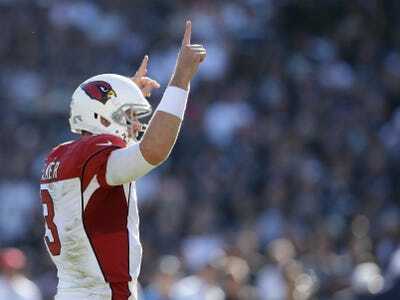 One thing to know: Palmer is 0-2 as a starting quarterback in the playoffs. 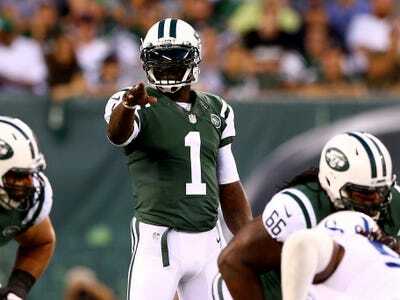 One thing to know: Vick missed two seasons in the prime of his career following his dog fighting conviction. One thing to know: Including salaries and bonuses, Ryan has made $US51.5 million in 2013 and 2014 combined. 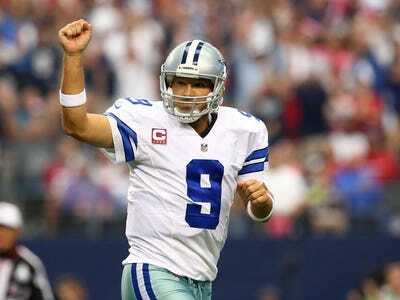 One thing to know: Romo still has five years left on his 6-year, $US108 million contract. His cap hit jumps to $US27.8 million next season so he is a good candidate to have his deal restructured before then. One thing to know: Ben Roethlisberger can become a free agent after the 2015 season. He will make $US11.6 million next year. 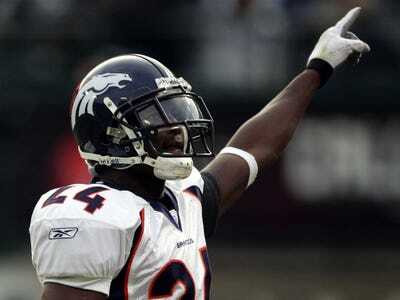 One thing to know: Bailey's largest contract came after the 2003 season when he signed a 7-year, $US63 million deal. 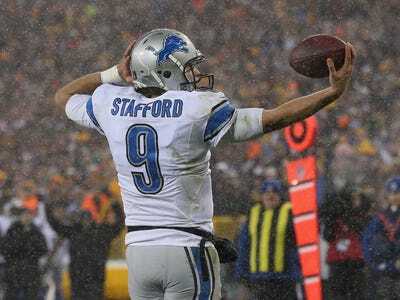 One thing to know: Stafford was one of the last no. 1 overall draft picks prior to the new collective bargaining agreement which put a limit on rookie salaries. 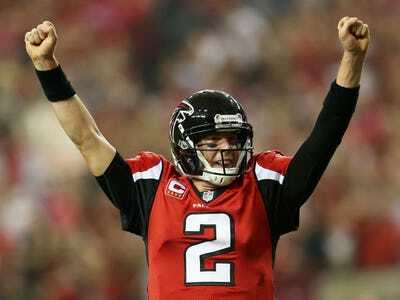 Stafford was given a 6-year, $US72 million deal before he ever played a down in the NFL. One thing to know: Johnson still has five years remaining on his contract. However, his cap hit will balloon to $US20.6 million next year and $US24.0 million in 2016. One thing to know: Rodgers made $US6.2 million before ever starting a game in the NFL during the three seasons as Brett Favre's backup. 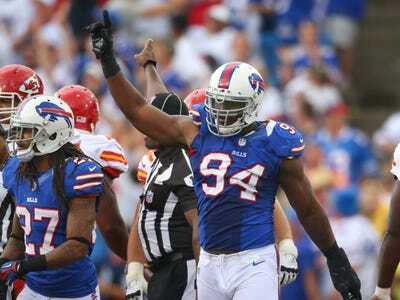 One thing to know: Mario Williams was another no. 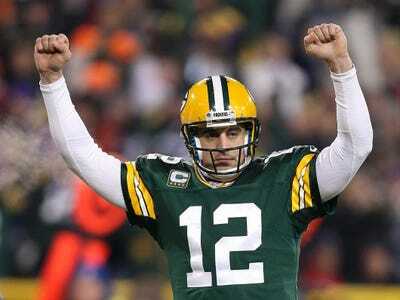 1 overall draft pick back when no. 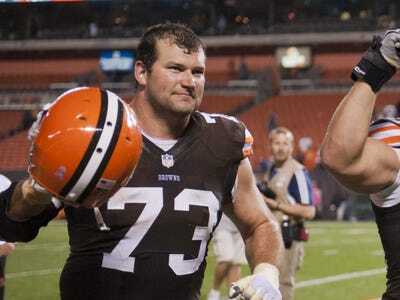 1 overall draft picks received gigantic rookie contracts. 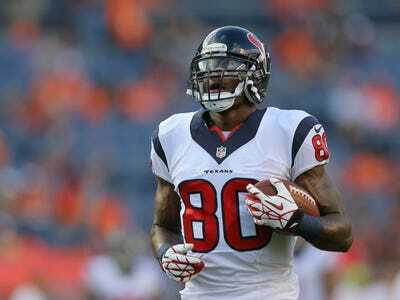 Williams' first deal with the Texans was 6-years and $US54 million. One thing to know: McNabb's highest single-season salary came in his one season with the Washington Redskins. One thing to know: Seymour signed four different contracts in his career worth at least $US25 million. 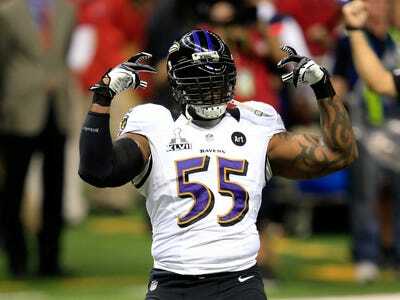 One thing to know: Ray Lewis only made more than $US10 million in a season two times in his career. 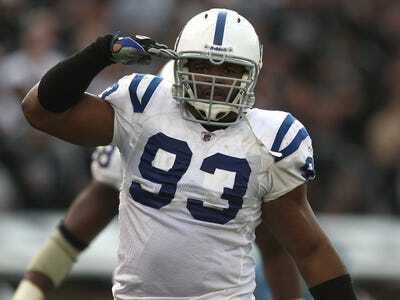 One thing to know: Prior to the 2007 season, Freeney signed a 6-year, $US72 million contract with the Colts and in a rarity for the NFL, he made every penny of that deal. One thing to know: Thomas has never missed an NFL game due to injury and has started all 121 games since he was drafted. One thing to know: Johnson still has two years left on his contract and will make at least $US10.5 million each season. 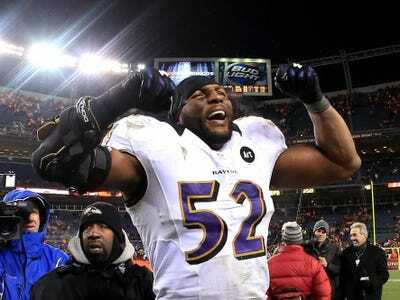 One thing to know: Suggs' signing bonus alone this season ($US11 million) is more than Ray Lewis ever made in a single season, including bonuses.